A semi-automated system for determination of Crude and Detergent fibre and related parameters in accordance with Weende, van Soest and other recognized methods. 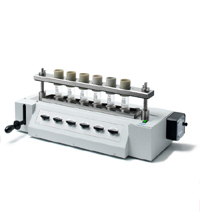 Offers high throughput, simplified handling, high accuracy and precision for a wide range of samples. COEX perform a reliable raw fiber determination test, the sample must have a low fat content For those samples that exceed this value, preliminary fat extraction is required using acetone, hexane or petroleum. 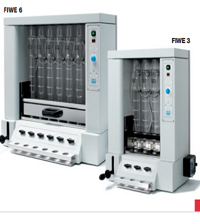 The COEX performs rapid fat extraction directly in the same glass crucibles that are used by the FIWE 3 and FIWE 6. A great benefit as the user can start raw fiber extraction immediately after completing fat extraction.